Japanese comedy can be… strange. There’s not much else like it and Western comedy really can’t match the ironic surrealism of Japan’s token comedy styles. If you’re a Westerner who didn’t grow up in a Japanese family, you’ve probably still seen Japanese comedy and comedy styles trickle in from overseas. The ’90s game show “風雲！たけし城” (ふううん！ たけし じょう ) — “Showdown! Takeshi Castle,” known in the U.S. as “Most Extreme Elimination Challenge” on SpikeTV, became a cult classic here in the early 2000s. Anime has influenced kids all over the world with its own brand of animated comedy. So you won’t be surprised to hear that anybody can enjoy a good Japanese comedy show. And for Japanese learners, engaging in a bit of Japanese entertainment is a great way to brush up on your fluency. What’s better than having a good laugh and learning a little something at the same time? Before we get into our awesome list of Japanese comedy shows, let’s look at some different kinds of Japanese comedy. 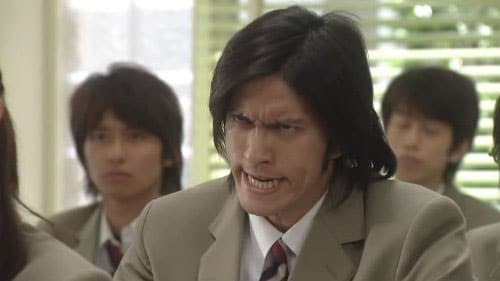 To really grasp the humor used in some of these awesome Japanese TV comedies, it’s helpful to understand different types of Japanese comedy. There are quite a few! 狂言 (きょうげん) — Kyōgen: Literally “wild speech,” this type of Japanese comedy involves traditional theater. When traditional 能 (のう ) — talent performances (known popularly as “Noh”) came about in the early 14th century, Kyōgen came with it and served as a sort of intermission comic relief for dramatic Noh performances. Kyōgen is still practiced today. 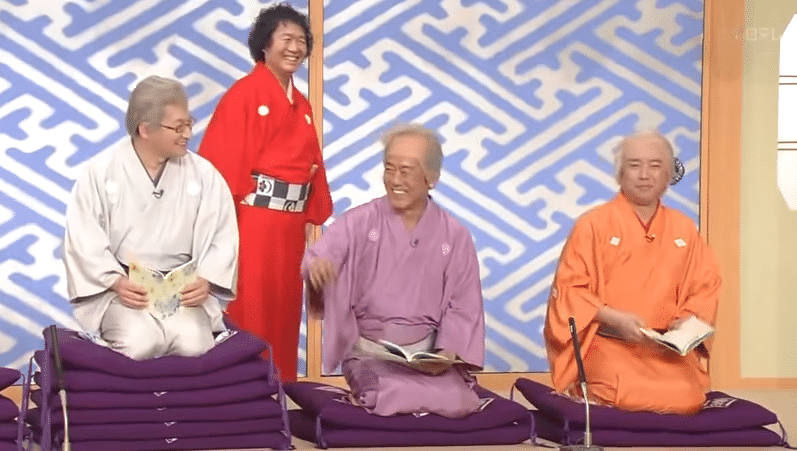 In a Rakugo performance, a comedian will sit on the stage with only a fan and a cloth for props. They’ll simply tell a comical story to the audience, often using vocal impersonations of different characters. 漫才 (まんざい ) — Manzai: Osaka is known for conceiving this very punny brand of Japanese comedy, which translates to a form of the word “comedy.” A manzai performance involves two comedians doing standup comedy together. Typically, one comedian is the “dumb” one and the other is the “slick” one. Manzai usually involves a ton of puns, misunderstandings and quick talking. Manzai TV shows can help you understand quickly spoken Japanese, along with particular Japanese accents and cultural elements. However, a manzai performance may be a little out of a beginner’s league. They talk really quickly! コント (こんと) — Konto: “Konto” is a transliteration of the French word conte, meaning “tale.” In this type of Japanese comedy, a group of comedians will perform a sketch involving a funny story or a surreal event. They typically wrap up after a few minutes, but the subject matter is always very strange and bizarre. Konto is technically a part of manzai, but the surrealist aspect of konto makes it quite different from typical manzai. お笑い (おわらい) — Owarai: This type of comedy, literally meaning “a laugh” or “a smile,” is especially relevant to our list of Japanese comedy shows. Owarai is a general term for all comedy, but is mostly used to describe comedy one finds on Japanese TV. Owarai typically involves game shows, performances, chat shows, etc. 二人羽織り (ににん ばおり) — Nininbaori: Literally “two person connection,” this one is quite a niche (and strange) type of comedy. Nininbaori involves two people wearing one big coat, with one comedian being the head and the other comedian hidden in the coat being the arms. The humor comes from the lack of coordination and silliness of the situation. 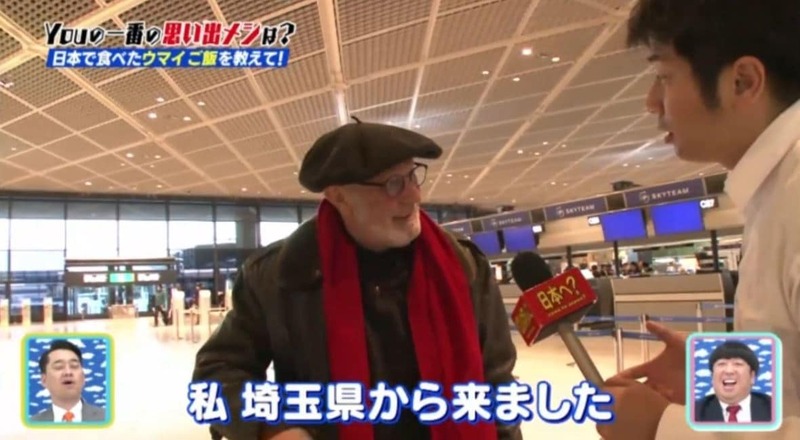 Watching Japanese media can help with word association and fluency. The entertainment value makes watching Japanese comedy shows a great way to fit some practice time in while lounging about. If you enjoy this style of learning, you’ll also want to check out FluentU. Sound fun? Let’s start laughing and learning with the 10 great shows below! This show involves two Japanese comedians who hang outside of national airports to ask non-Japanese travelers why they came to Japan. The results are often much more hilarious than you’d expect. You can watch “Why Did You Come to Japan?” on YouTube for free, but not all episodes have English subtitles. 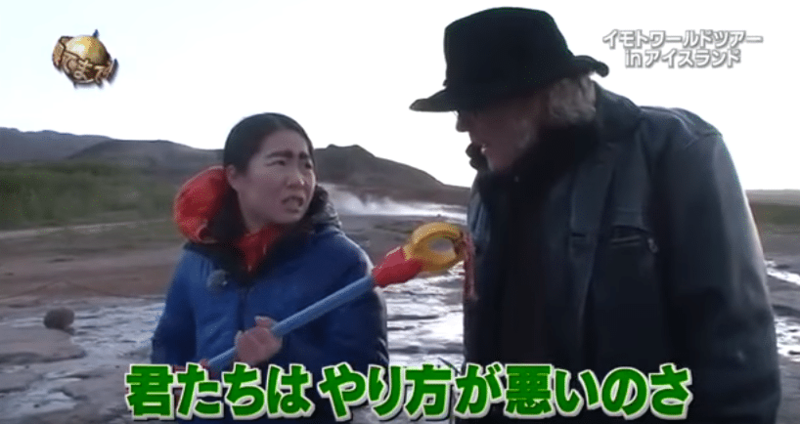 This show deals with English-speaking foreigners and Japanese-speaking natives, so the show can help learners see the differences between both languages. If you could compare this Japanese comedy show to anything in the West, it could be “Saturday Night Live.” The sketches on this show are hilarious and often absurd, and are mostly based around different types of games. Warning: this one is addictive. You can enjoy “Mecha-Mecha Cool!” episodes on Daily Motion with English and Japanese subtitles. It’s a perfect choice for beginner learners who want to learn more about Japanese comedy and speech! Who doesn’t love a little bit of horror and romance mixed in with their comedy? This Japanese drama-comedy is also known as “Horror Love Operation.” Three wildly different 30-somethings attempt to sort through their personal and work lives, all while battling a very strange monster. This is a captivating Japanese series with a lot of elements you wouldn’t usually see together. Not only is it entertaining, but it’s also perfect for learning to understand natural spoken Japanese. Even though this show is scripted, the dialogue is a bit faster than other dramas. As you watch you’ll get more comfortable keeping up with the speed of native Japanese conversations. “Spooky Romantics” is available on Kiss Drama without any subtitles, so advanced learners would benefit best from this Japanese comedy show. Wow, talk about relatable. This show gets real, but it’s also totally hilarious. “Tokyo Tarareba Girls” is based off the manga of the same name. A young woman is unsatisfied in her personal and work life, usually dealing with her displeasure by drinking with her childhood friends. One night, while loudly complaining about their lack of marriage, someone gives them some hard truth that complaining will get them nowhere. Our heroine makes a pact with herself to be married within six years. You can watch this great slice-of-life comedy on Daily Motion with Japanese subtitles. Alternatively, Kiss Asian streams this show for free with English subtitles so beginners can enjoy as well. We mentioned “Showdown!” in the introduction, so there’s no way we could leave it off of this list! This show was a hit in the ’90s, and for good reason. Absurd performances, strange competitions, silly games. This show has it all. “Showdown!” is an excellent viewing choice for all levels of learners because it’s such a Japanese classic. Essential viewing, if you will. You can watch this oldie-but-goodie on YouTube with English subtitles. …Well that’s quite a mouthful. This travel variety show features regular hosts going around the world and engaging in some pretty ridiculous antics. The show has been running for over 10 years and is so popular that it even spawned its own subreddit. You can watch episodes from this series via YouTube with Japanese subtitles. Unfortunately, it doesn’t appear that an English subbed version of this show exists. Sorry, newbies! “My Boss, My Hero” is a Japanese drama-comedy based off of a South Korean film of the same name. The series follows a yakuza member who isn’t the smartest, but wants to take over the leadership from his father. In order to succeed, his father gives him a deal. If he can graduate high school at 27 years old, then he can become the gang’s leader. “My Boss, My Hero” is available on YouTube with English subtitles. Due to the scripted nature of this dramedy, it’s much easier to keep up with the slow-paced dialogue. An excellent choice for learners of all levels, but especially beginners. “Overprotected Kahoko” is another great Japanese drama-comedy. A sheltered 21-year-old student named Kahoko relies a bit too much on her mother to do everything for her. When she meets a young man who’s had the opposite life, things get a little crazy. You can watch “Overprotected Kahoko” on Drama Nice with English subtitles. Like with most scripted dramas, this one is great for beginner learners. “Operation Love” is a little bit drama, a little bit comedy and a little bit science fiction. You read that correctly! Ken, upset to be at his lost love’s wedding to another man, gets in touch with a fairy who allows him to travel back in time to fix their relationship. You can find this Japanese comedy show on Daily Motion with English subtitles. Beginners, check this one out! Also known as “Shōten,” this Japanese comedy is the second-longest running TV show in Japan, starting in 1966 and still going strong. This series mixes the Rakugo style of comedy with an almost gameshow style. Much of it involves improv and features some seriously catchy music. You can watch clips and episodes from “Shōten” on YouTube, though much of what’s available doesn’t have subtitles. All of these shows are entertaining and have merit for every kind of learner. Even if you’re a beginner that can’t keep up with a Japanese comedy show without English subtitles, you can still benefit from watching to learn about context clues, Japanese speech speed and modern Japanese culture. These shows are just too funny to pass up. Why not make a day of it and binge-watch them all? Enjoy and don’t forget that 習うより慣れよ (ならうより なれよ) — practice makes perfect!